Iran’s Foreign Ministry condemned recent terrorist attacks in the capitals of Iraq and Afghanistan, warning that Takfiri terrorist groups have targeted the region’s stability and security. 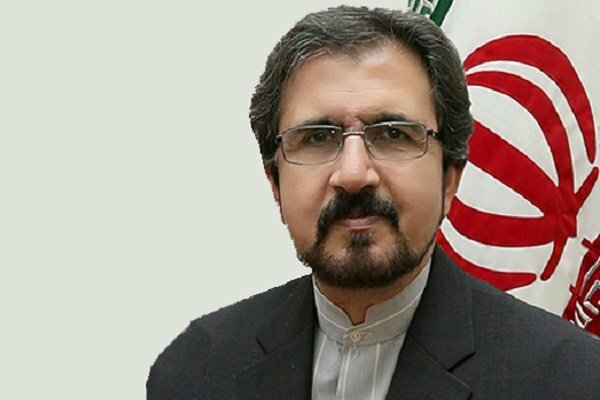 Foreign Ministry Spokesman Bahram Qassemi condemned the Monday terrorist attacks that killed civilians in Baghdad’s Karradah district and in Kabul, expressing sympathy with the governments and nations of Iraq and Afghanistan. The common objective and ideology of the Takfiri-terrorist groups is to harm stability and security in the regional countries, Qassemi deplored, saying the terror groups continue to shed blood of hundreds of people every day amid the international community’s silence and indifference. The violent and terrorist attacks will continue as long as the international community lacks the necessary resolve to identify the root causes of Takfiri-Wahhabi terrorism and force the supporters of those terrorist groups to stop their support. His comments came after two bombing blasts killed at least five people and injured 11 others near the Afghan Ministry of Defense in Kabul on Monday. Elsewhere in Iraq, a car bombing killed at least 12 civilians in a commercial area in central Baghdad on Monday. A police officer said Tuesday that the explosives-laden car, which was left in a parking lot in the Shiite-dominated district of Karradah, exploded late Monday, wounding up to 28 people and damaging at least 15 cars.